Another fantastic day in France! 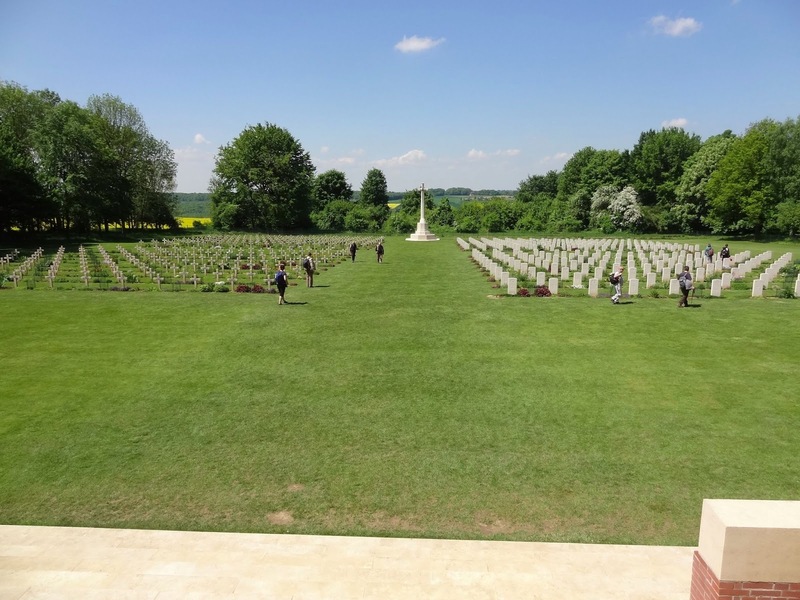 All of our stops today focused on the Battle of the Somme, one of the largest battles of the First World War, and the bloodiest – with over 1 million casualties. We began our day at the Lochnagar Crater Memorial which was absolutely incredible! 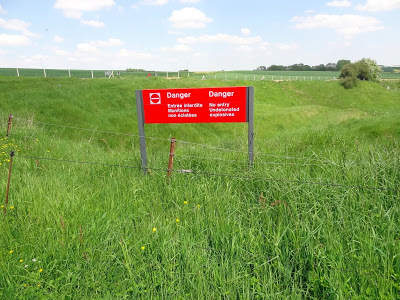 Lochnagar is a volunteer-run historical site where massive mines were set off as a tactical method to attack the Germans. 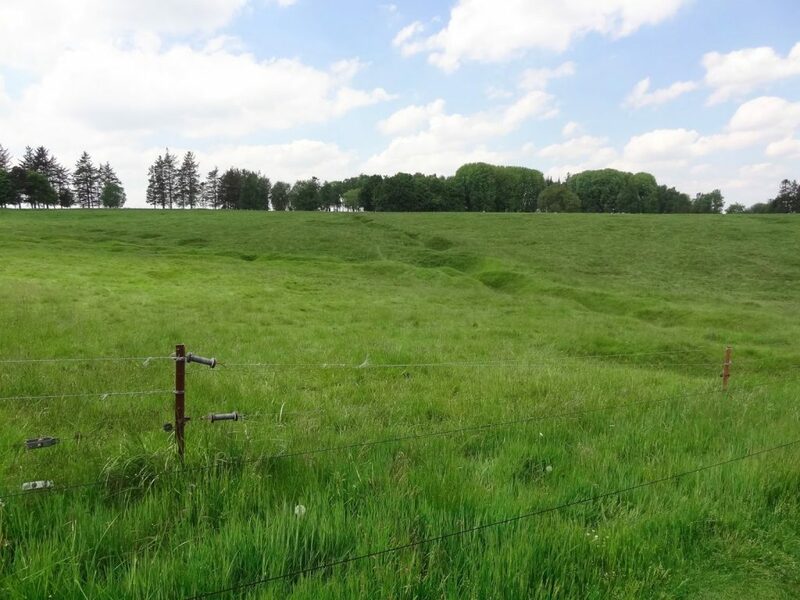 Unfortunately, the assault was unsuccessful; the crater from the mine blast was so large, troops were unable to cross it and attack the enemy side. The explosion was the largest up to that point in time and was heard all the way in London, England. 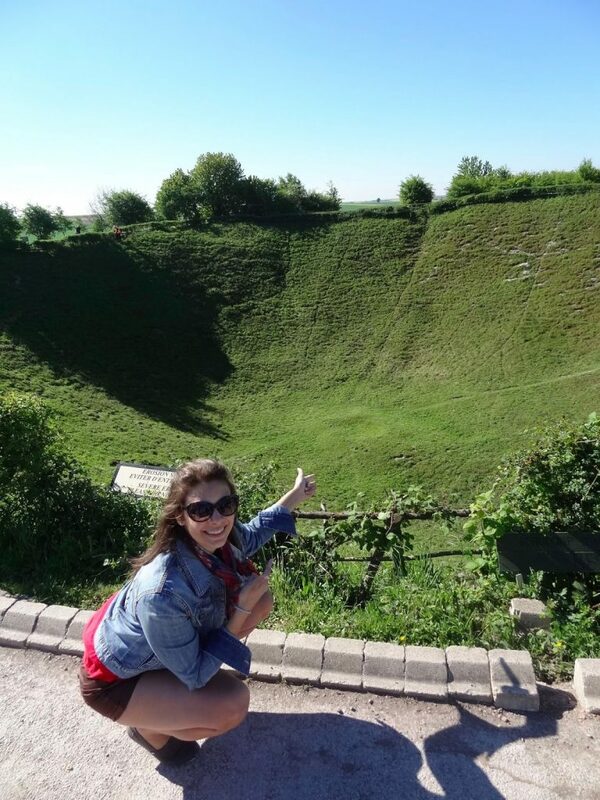 The crater is over 6 stories high! 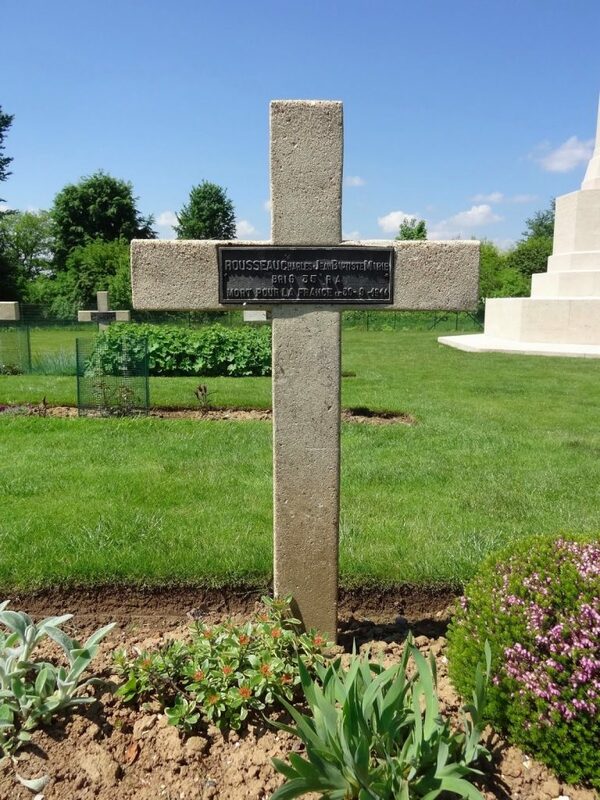 This next part of the blog is dedicated to the lovely Shirby – our next stop was the South African memorial at Longeville. 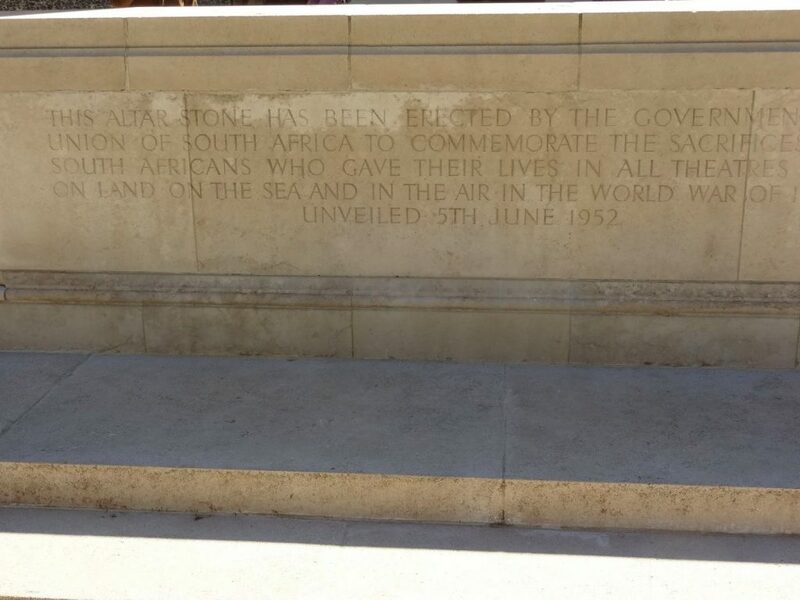 On 14 July 1916 the South African brigade began their costly campaign. The casualties were over 80% and this battle lives with the same amount of significance to South Africans as Canadians give to Vimy or Ypres. I think this was one of the most beautiful memorials we have been to (not just because it reminds me of you, Shira). You walk up to a beautiful tree-lined path, which we haven’t seen at any of the other sites yet. 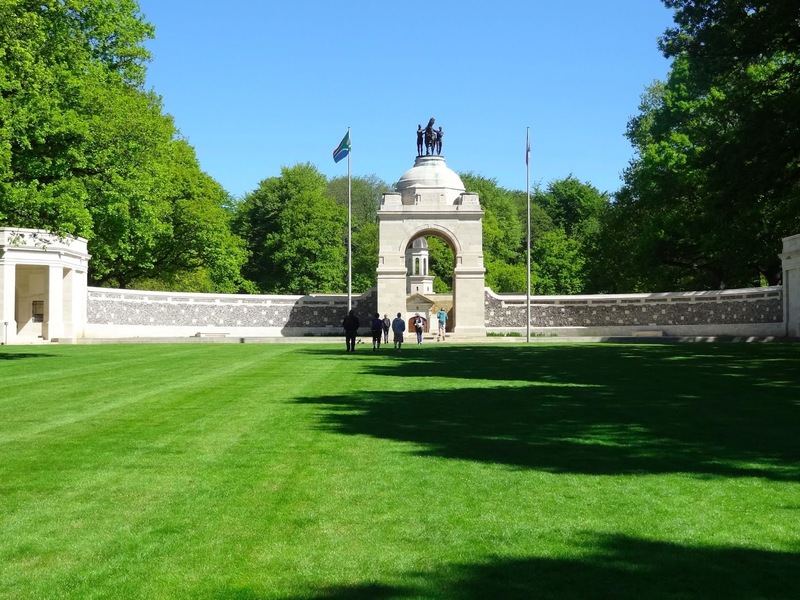 I think being surrounded by that nature brings a sense of life to the memorial…check it out below. 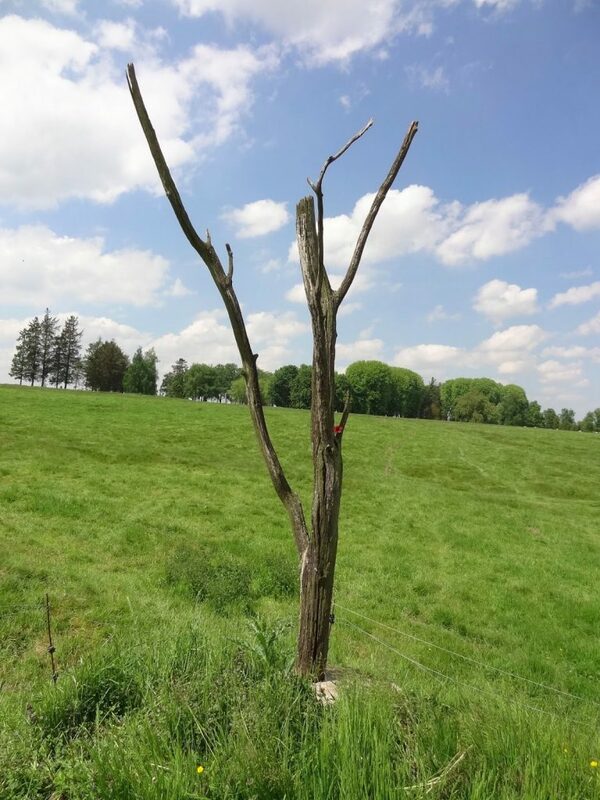 Shirby, this is really for you – South African WWII memorial! 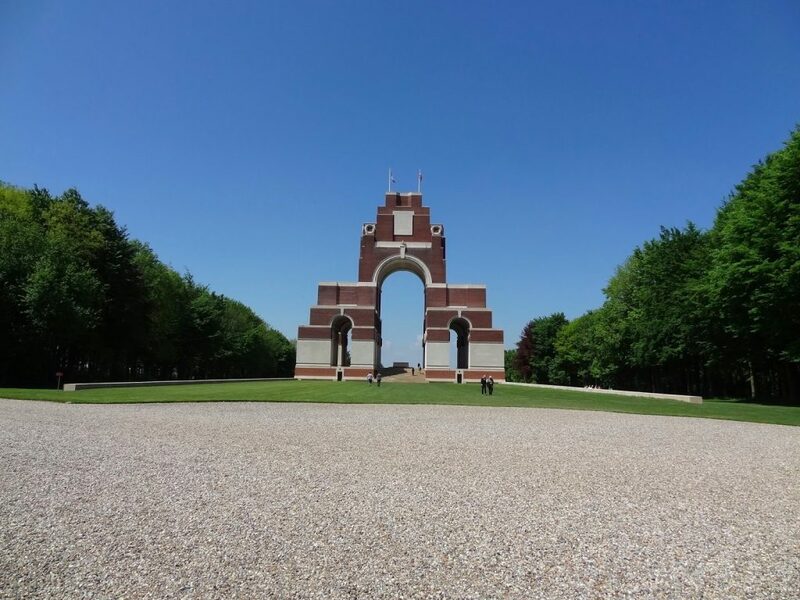 We visited several other memorials today, but the most impressive was the Thiepval Memorial. 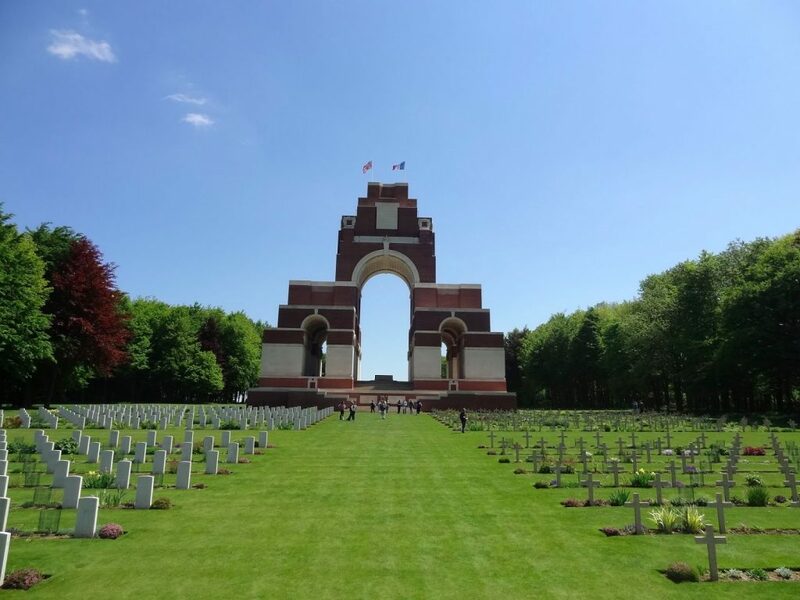 It is the largest British war memorial and commemorates the lives of over 72,000 British and South African men who died in the Battle of the Somme and the First World War (until March 1918) and do not have graves. Interestingly, a large amount of controversy existed when this memorial was created. Many felt that the gigantic, boxy, red-brick structure was not representative of the lives lost. Personally, I found it to be quite beautiful and moving. 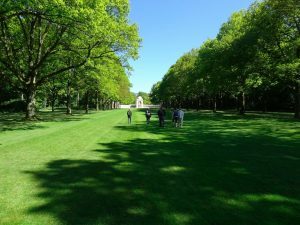 Behind the memorial is a shared Commonwealth-French cemetery. This was the first French cemetery we saw; note the shape of the headstones (crosses) and consider the different styles. Not to be biased, but I think the Commonwealth headstones are much more moving. 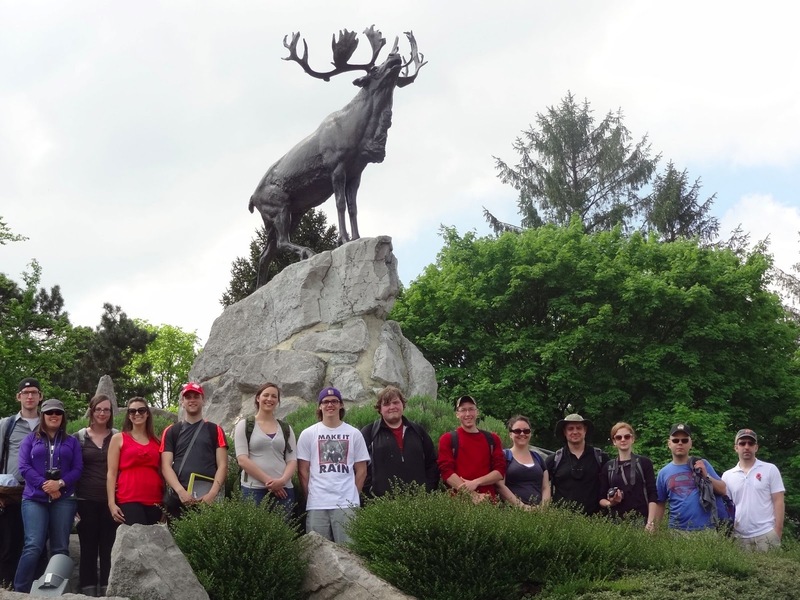 The other site we visited today was Beaumont-Hamel. It’s really difficult for me to describe this site, I am still in shock that we visited such an important place…During the First World War, Beaumont-Hamel was the location where soldiers from the Dominion of Newfoundland were absolutely massacred and lost their lives on the first day of the Battle of the Somme. 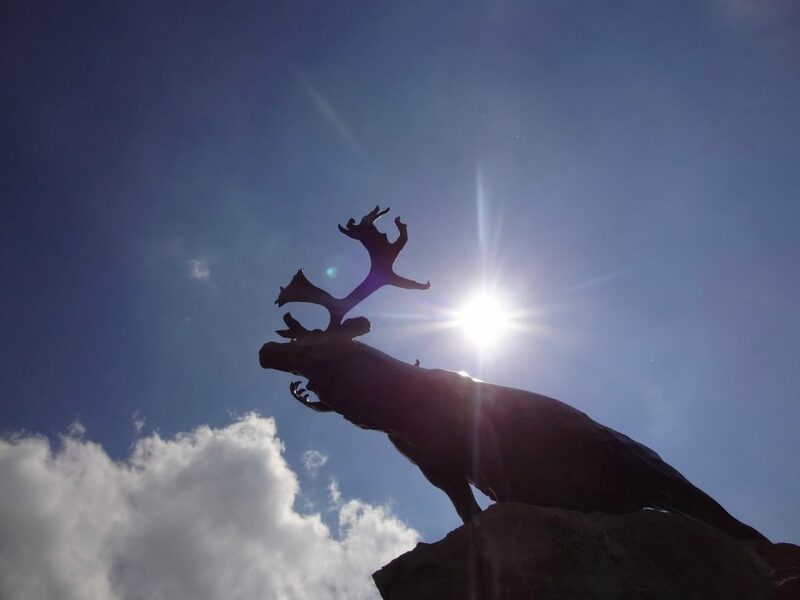 There are several cemeteries and memorials around the site, most significantly the Caribou (see below). 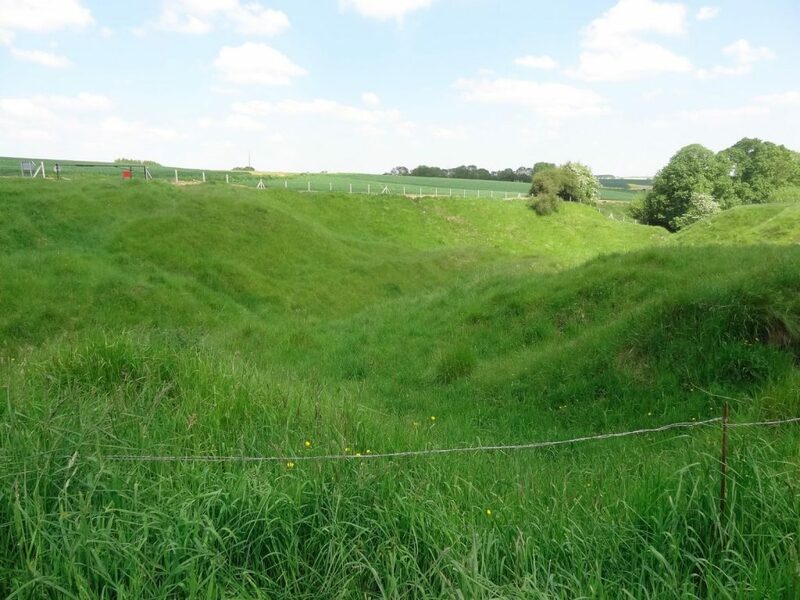 In addition to these memorials, Beaumont-Hamel allows you to walk around the Western front, no-mans-land, and the German front. 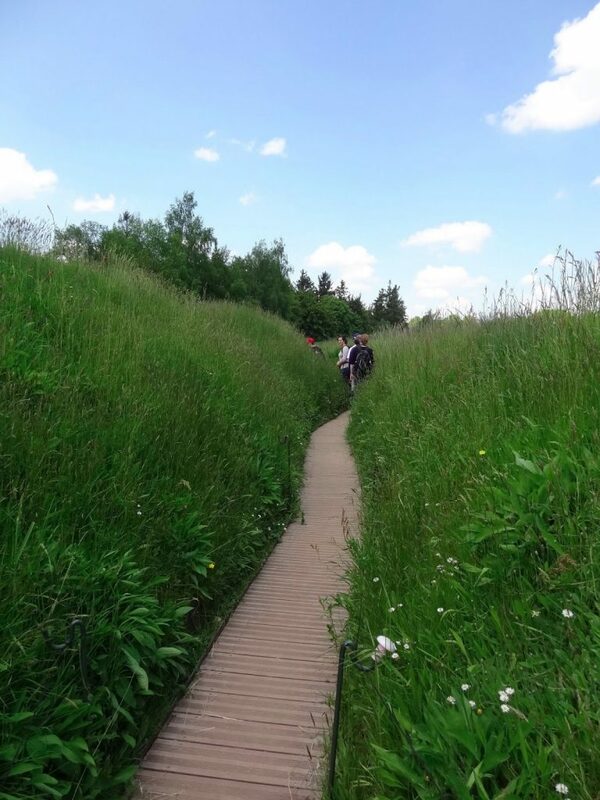 That’s right, today we literally walked beside and through the trenches. I don’t have the words to express how incredible and moving it was to see the battlefields. I know many of you reading have very pessimistic views about the First World War and believe it has not done anything to define Canada as a nation. 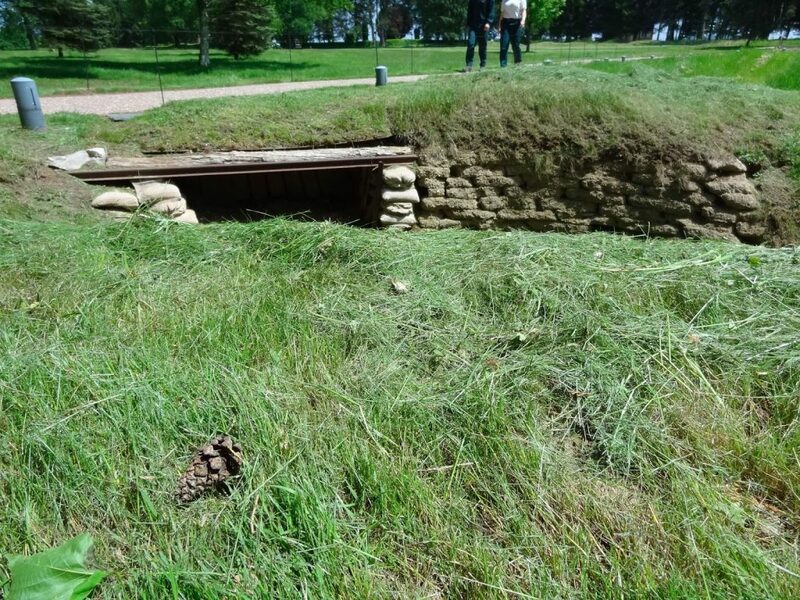 While I’m still unsure of how large a role the war had on Canadian identity, what I will say after witnessing these trenches today is that I can understand why these soldiers felt a huge sense of accomplishment after participating in what are seen as the quintessential Canadian battles. You cannot really understand why these battles have been magnified and made to be so significant until you see the trenches, until you see what these poor soldiers were dealing with. I think only then can you look beyond the losses and really begin to understand why these battles were glorious victories that shaped these men and defined Canada. Our group at the memorial!! Ps: Councillor Kerwin, if you’re reading this I said a prayer for you and your wife’s family at Beaumont-Hamel today. 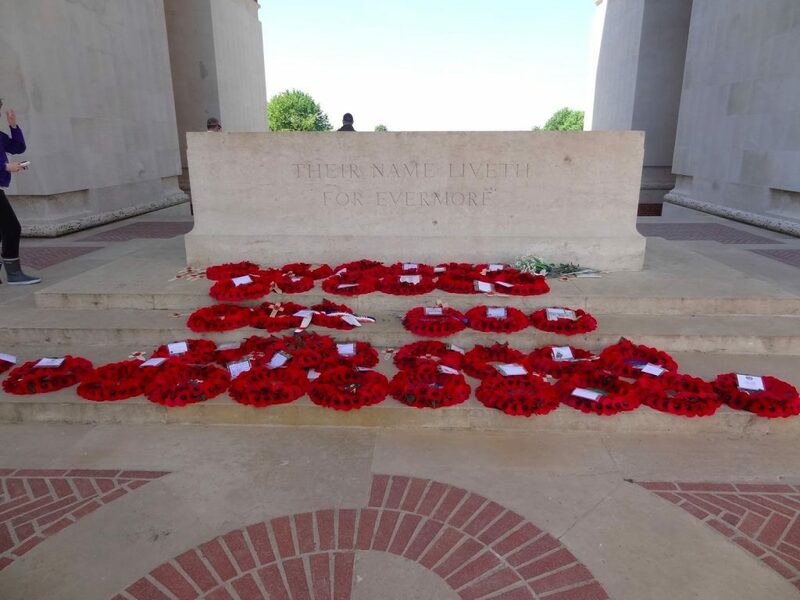 Pps: I forgot to post about Tyne Cot cemetery from yesterday…this is a little reminder to myself to share that experience with you!